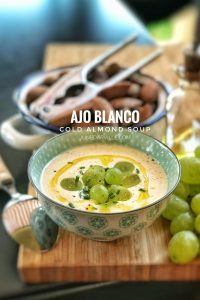 Cold Almond Soup (Spanish Ajo Blanco) | Simple. Tasty. Good. Well I finally found the time to make this cold almond soup then, something I was highly looking forward to! It’s been a while now since we visited lovely Sevilla in Spain. Our favorite restaurant there was Bar Europa: a must for foodies! We discovered quite a lot of unique and interesting Spanish dishes there. One of them was a famous soup called ’salmorejo’, a cold tomato soup with vinegar, ham and crumbled hard-boiled eggs. Outstanding! What attracts me so much in that recipe is the use of soaked bread to give the soup its typical thick silky texture. And so does this next cold soup! Almonds, garlic, bread, olive oil… A tantalizing Andalusian appetizer I can’t get enough of, called ajo blanco. This soup is normally garnished with white grapes or chopped green apple. I’ve even seen it with fresh figs. You can also add a few drops of balsamic vinegar or olive oil to garnish the soup. Serve this one in glasses or deep plates. 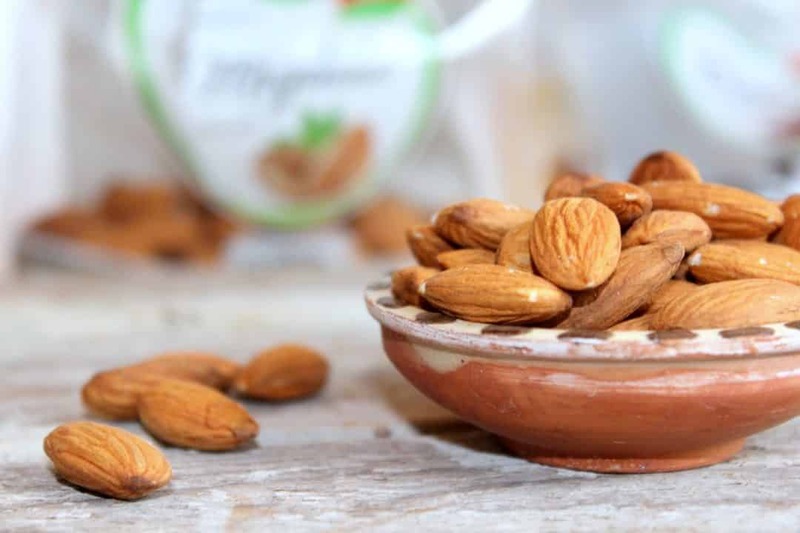 Can you only find unpeeled almonds? Then here’s how to peel them fast: blanch the almonds in hot water for about 25 to 30 seconds. Don’t blanch the almond too long or they will lose their delicate flavor. Then strain them and refresh them under cold running tap water. Then peel them by putting the almond between your thumb and index finger and press hard while moving your thumb up and your index finger down. The brown skin should burst and the white almond should pop out. Easy. What I do then is let the almonds dry for a few hours (I usually do this when I am making the ajo blanco the day after). If you need the almonds immediately, then I prefer to roast the almonds quickly in a dry pan for a few minutes until the excess water has vaporised and the almonds are a little golden. Then add them to the blender together with the garlic and start your recipe. Alright then. I’m sure you will love this creamy Spanish cold almond soup with sweet grapes! Bread, garlic and almonds… what could possibly go wrong? Enjoy this ajo blanco! 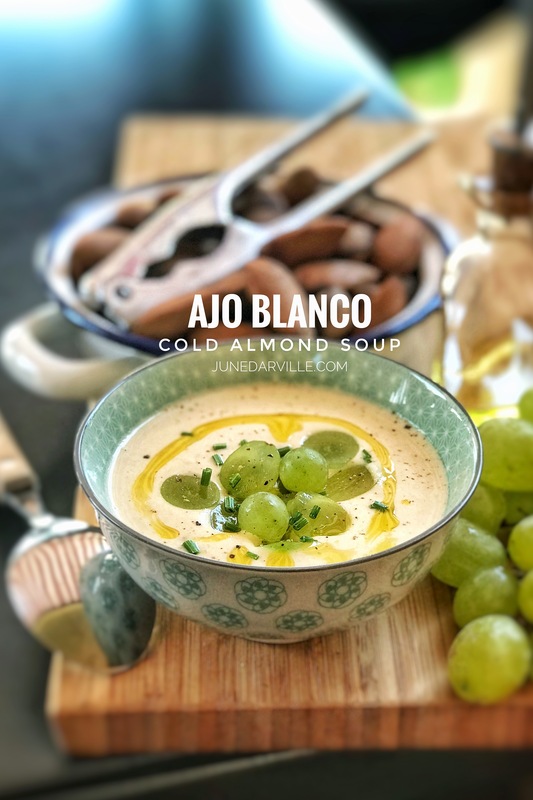 A creamy Spanish cold almond soup with grapes that contains bread, garlic and almonds... also known as 'ajo blanco'. Soak the bread in a little water for 2 minutes and squeeze it out well. 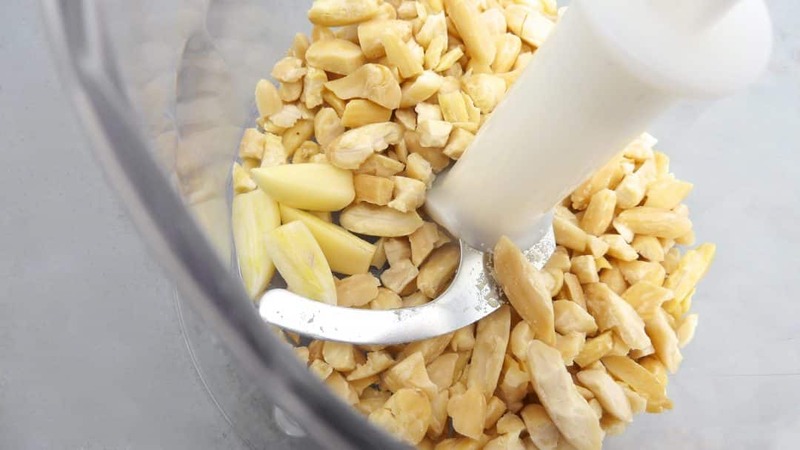 Then transfer the crushed almonds and chopped garlic to a blender. 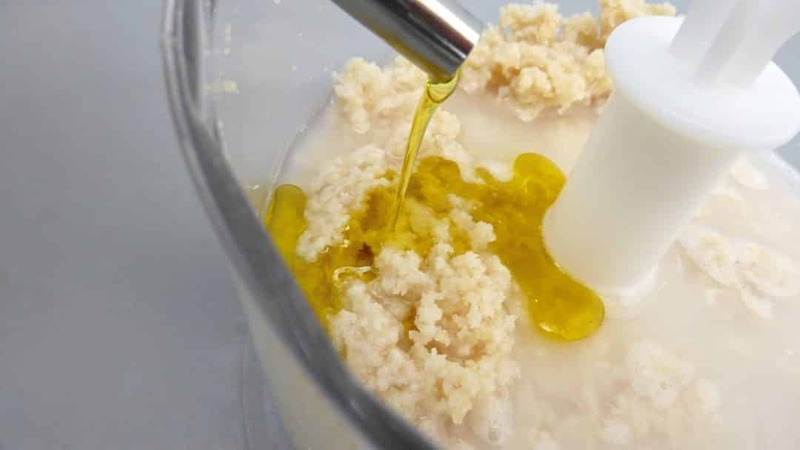 Blend a few times until you get a fine almond crumble. Then add the bread and season with a little pinch of pepper and salt. Blend again into a wet almond mixture. Then gradually add the olive oil and cold water. Blend well. Then check the seasoning and add extra pepper and salt to taste if necessary. You should end up with a very silky smooth, quite runny white almond soup. 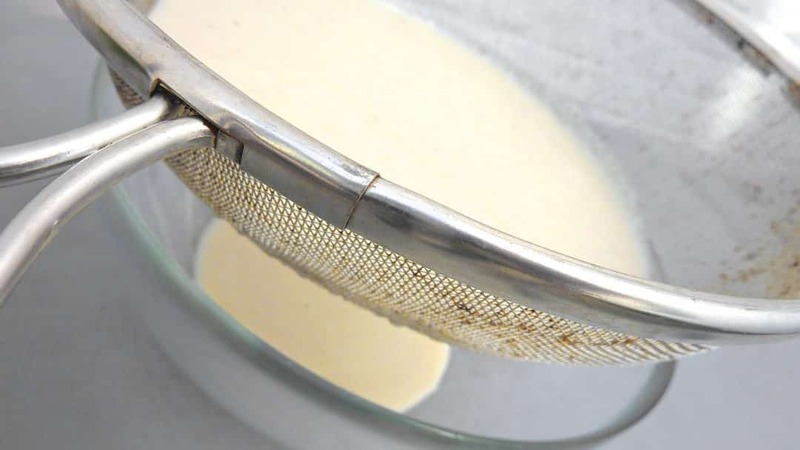 Then pour it through a sieve over a large bowl or saucepan. 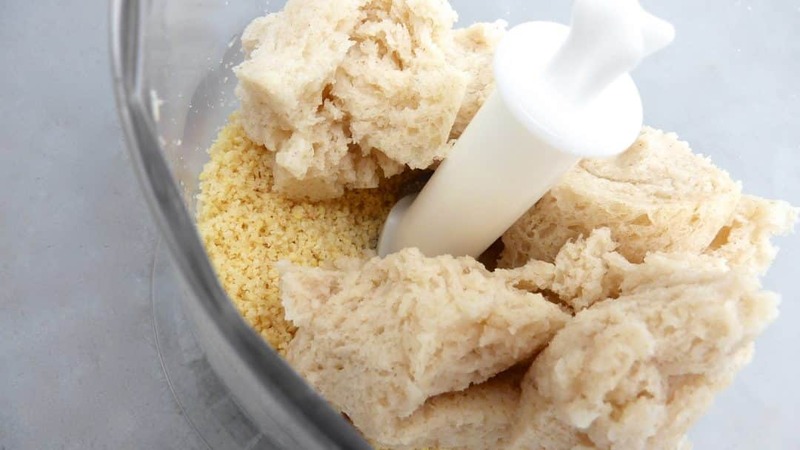 Stir until you end up with a white bread pulp. Discard it. Chill the ajo blanco in the fridge for at least 2 hours. Then pour the soup in deep plates or bowls and finish with some grapes and a drizzle of olive oil. Wow this is such a different, new dish for us dear June! Thanx so much for letting us know! 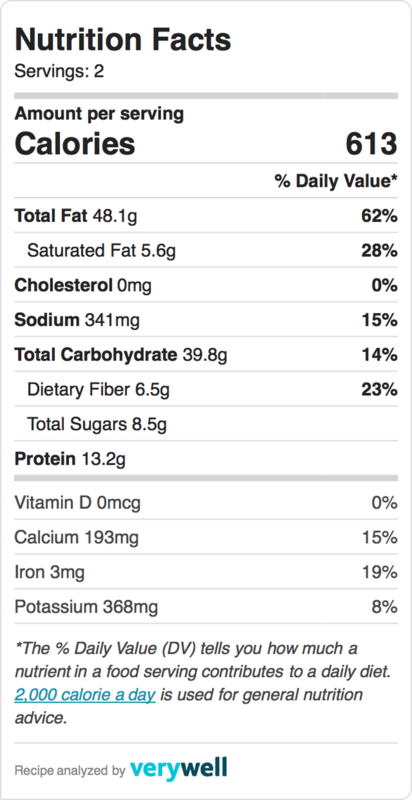 Albeit not too familiar (except onion soup and French toast and such), I can see adding liquid to not new bread, and then there’s grape, apple, or fig on the savory soup. The world is big, thank you for the inspiration! !